Most often, when the compressor stops or quits pumping, it is caused by the internal carbon blades getting thin from wear and breaking. After you disassemble the compressor, this photo shows what will be found. Remove the internal air filters, by unscrewing them using the thumbscrews. Next remove the 6 head bolts. They are 3/8″ hex head bolts. This will remove the compressor head. After cleaning out the debris, Install the new blades. 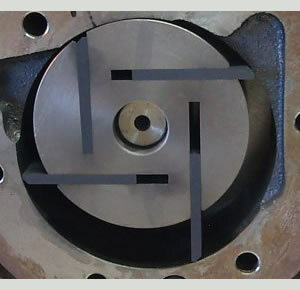 Make sure to match the bevel of the end of each blade to the curve of the housing. 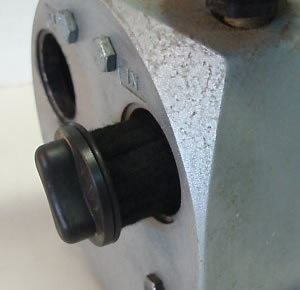 Install the new gasket from the rebuild kit onto the compressor head, install dry (no sealers or glue needed). 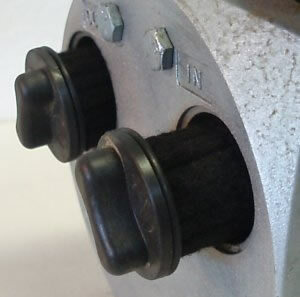 Install the cover and re-install the cover bolts and hand tighten with a wrench. Installing the internal air filter assembly. Remove the 5 hex head bolts. This makes it possible to remove the outer cover of the compressor. 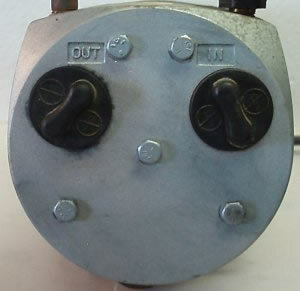 When the head is removed, the internal compressor is exposed. 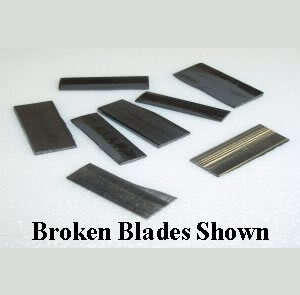 The broken blades are usually in a pile at the bottom of the compressor. If you have broken blades in the slots remove them. Be careful not to nick the slots causing a burr. 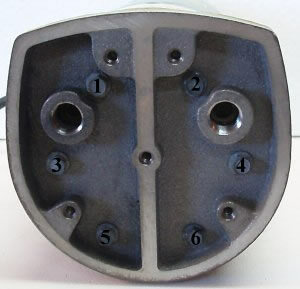 To reinstall the compressor head, stand the pump assembly vertically. Reinstall the six bolts and just finger tighten the 6 bolts. Now torque the bolts in a crisscross manner. 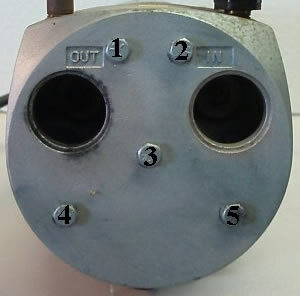 Torque to 10 ft lbs in order 3, 4, 1, 6, 2, and lastly 5. 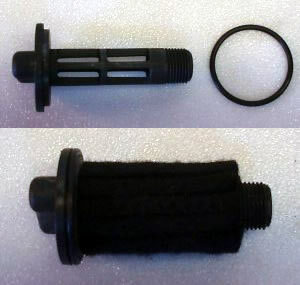 The repair kit has replacement o-rings that are installed on the internal air filter housing. The fresh o-rings are important and prevent air leaks from the compressor. Using a lubricant like Vaseline or Magic Lube on the o-rings helps in seating the rings. 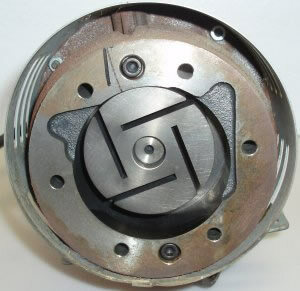 You’ve just completed our Rebuild a Rotary Compressor How To Guide.